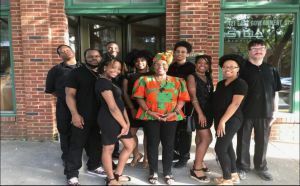 We, the members of the African American Student Association of Pensacola State College recognize the profound need to establish an association with the purpose of promoting black awareness, service to the college community, and our state in which we thrive. 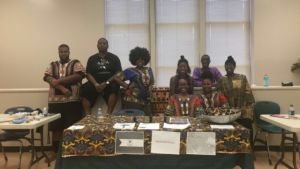 AASA at “Griot’s Coming”- a celebration of African Art, poetry, dance, & song at the Voices of Pensacola. Region I (Northwest) – Bay, Calhoun, Escambia, Franklin, Gadsden, Gulf, Hamilton, Holmes, Jackson, Jefferson, Lafayette, Leon, Liberty, Madison, Okaloosa, Santa Rosa, Suwannee, Taylor, Wakulla, Walton and Washington Counties. AASA members getting together for an official group photo! To join this organization you must be a student at PSC with a GPA of 2.0 or better. Please complete this application and email it to tanderson-steele@pensacolastate.edu. 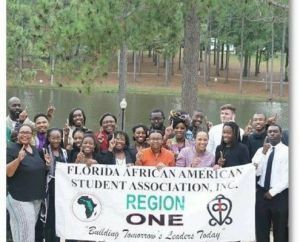 AASA purpose is to accomplish whatever the student members of the association want to do. Our goals and objectives are generally met through our FAASA P.A.C.E. Plan by promoting political, academic, community/cultural and economic activities. AASA accomplishes its goal and objectives from the use of the FAASA P.A.C.E. Plan. P= Political Activism—Promoting the involvement with and monitoring of local, state, and national issues that affect people of African descent. 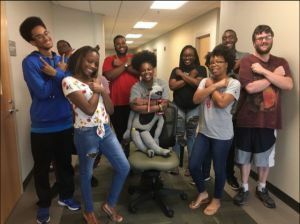 A = Academic Excellence—Developing programs and activities geared toward recruiting, retaining, and graduating students of African descent at all levels of education. C= Cultural Awareness—Developing programs and activities that enhance cultural development and maintaining an autonomous community by serving as a direct educational link, promoting businesses, and civic organizations. Economic Empowerment—Stimulating public and private interest in FAASA’s activities and efforts with emphasis on, but not limited to, financial entrepreneurship among members. AASA meetings are every Monday except holidays. Pensacola Campus Library at 3 p.m.
Over our 40-year history, F.A.A.S.A. 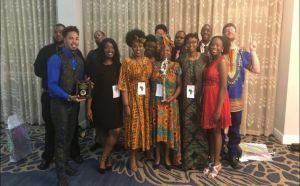 has impacted the personal growth and professional development of countless students who now give back through their roles as physicians, attorneys, judges, educators, and other respective endeavors. Have you always longed to visit the Motherland? Well, don’t miss this opportunity to do just that! We welcome you to experience the excitement of one of Africa’s most vibrant countries – Ghana, West Africa. Every two years, “Panafest” – Ghana’s Pan-African Theatre Festival – brings together a diverse assembly of people ranging from political leaders, eminent personalities and intellectuals, to entrepreneurs, investors, philanthropists, and vacationers – to celebrate the history, culture, and unity of Ghanaian people. Central to the celebration are major international performing and visual artists from across Africa. Additionally, this tour will allow you to explore Ghana’s rich history, culture and traditions through lectures by experts and excursions to such major points of interest as Kakum Canopy Walkway; Aburi Botanical Gardens; Kwame Nkrumah Memorial; W.E.B. Dubois Center for Pan African Studies; Nzulezo Stilt Village, universities, galleries, museums, cultural centers and open-air markets. You will observe the crafting of wood carving, drum making, kente cloth weaving, and adinkra wax printing. Most of all, you will never forget your visits to the forts, castles, and dungeons that enslaved our ancestors in Elmina and Cape Coast. Space is limited so RESERVE YOUR SPACE NOW!! !